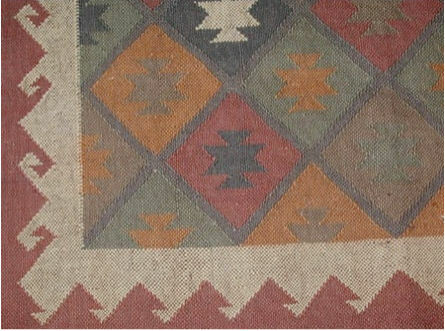 A Dhurrie rug is a flat woven rug made in India. The majority of the rug is a natural-colored wool with a simple pattern made by weaving in other colors. They became popular in the early 1980’s. The Dhurrie rug is also reversible and owners usually put them in kitchens and family rooms.